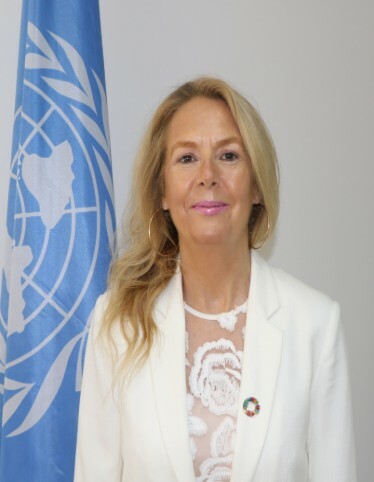 Jacqueline Mahon is UNFPA’s Country Representative, United Republic of Tanzania. Prior to this, Jacqueline was based in UNFPA’s Headquarters, New York, where she served as Senior Policy Adviser in the Organization’s Technical Division, heading strategic policy engagement in global health and health systems. She has worked with other organizations, including the Aga Khan Foundation; Overseas Development Institute (ODI Fellow); Swiss Agency for Development and Cooperation; University of Witwatersrand and the World Bank Group. Jacqueline has substantial experience in policy engagement, programme management and operations, having worked at both global and country level (East and Southern Africa and South Asia). Jacqueline is an Economist by Profession and was a Commissioner for the Lancet Commission on Adolescent Health. She holds an Executive Master’s in Management of International Organizations, SDA Bocconi, School of Management, Italy; Masters in Economics and Policy Analysis from the University of Nottingham, United Kingdom; and Masters in Public Health from the University of London, United Kingdom.